Bringing fresh roasted coffee to the blue mountains. 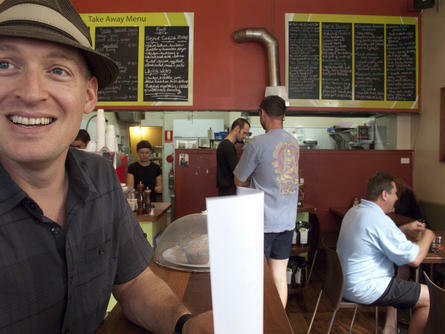 I had worked in cafes in Sydney for many years where I developed a serious passion for coffee. In 1999 (seems so long ago) we moved to the Blue Mountains to start a family and in 2002 we opened our first cafe Fresh espresso and food bar, and decided the best way to bring my passion for coffee was to roast in house and make the coffee with love and pride. We were the first to roast in the upper mountains and have been doing now for over 10 years. We now roast from our revamped shed in our backyard (literally) set in the bush of the Blue Mountains. This is where all the fun happens and we get to play and try out new single origins and blends. We now supply cafes, and have our online shop so you can have great coffee delivered straight from our backyard to yours!